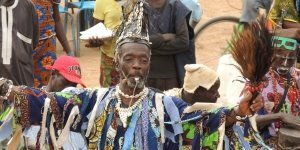 Ségou is getting ready for the annual Festival sur le Niger. This year's festival is going to be a combination of music, culture and theatre. During the festival period - 1-5 February - we offer several boat trips on the River Niger as well as tailor-made activities. Check out our travel calendar for scheduled trips or contact us for tailor-made trips. Join our Friday 3 February boat trip to meet Boubacar Traoré, aka KarKar, in person! Places are limited, make sure to reserve yours timely.